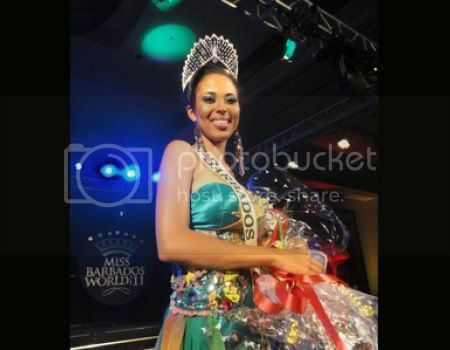 The stunning Taisha Carrington won the very 1st edition of Miss Barbados World 2011 beauty pageant which was created by Leah Marville (Miss Barbados World 2009). The event was held last August 28 at the Hilton Barbados in St. Michael. Sedia Jackman was the 1st run-up and Lyngeolle Morris was the 2nd run-up.